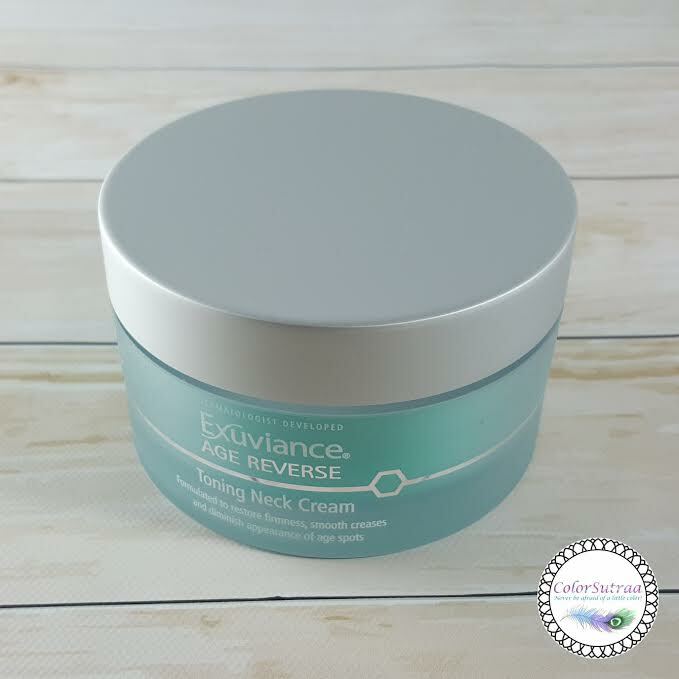 EXUVIANCE Age Reverse Toning Neck Cream : Target That Tricky Problem Area! Hi there, my darlings! So, we all have those tricky, problem areas which we're really self-conscious about--those areas that seem to always store the most fat or get wrinkly the fastest or where we always break out. And sometimes, our favored skincare products just don't cut it for those stubborn areas and we need a little extra TLC. Many women complain about one such trouble spot--their neck! Today, I'd like to share my review of Exuviance's Age Reversal Toning Neck Cream which targets just this problem area! 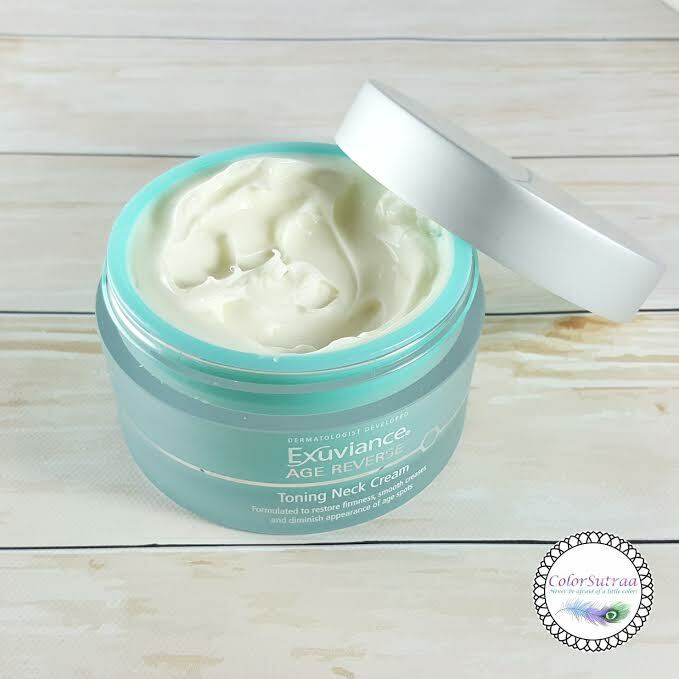 Developed exclusively for the fragile neck and decolletage, this potent firming and exfoliating treatment helps correct the telltale signs of premature aging and UV overexposure. 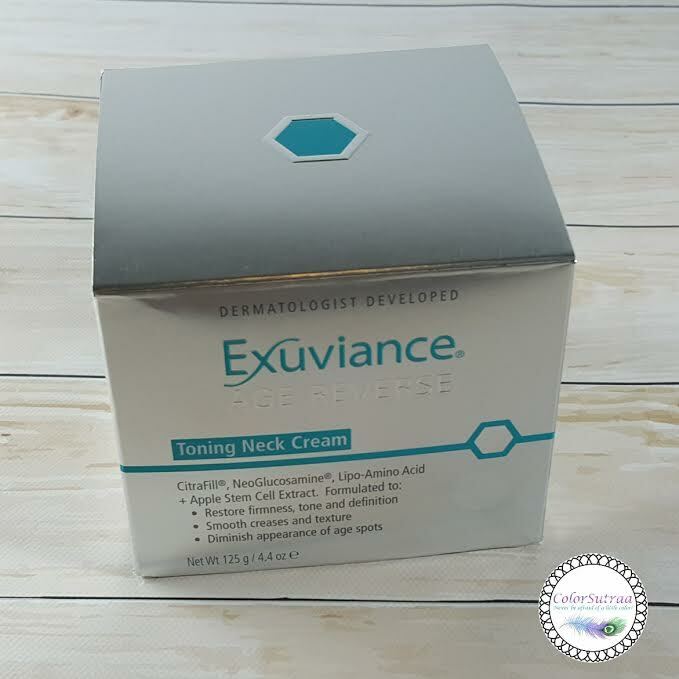 This luxurious fast absorbing cream creates a strong, supportive network to lift away years, restoring youthful tone and definition to the neckline. A Lipo-Amino Acid and CitraFill® encourage a healthy collagen network*. NeoGlucosamine®, a component of skin's natural filler, helps build the underlying support matrix*, plumping and lifting slack, lined skin. Neck creases are smoothed from the inside out and a toned, tighter look is restored. NeoGlucosamine® also gently exfoliates to diminish the appearance of uneven pigment and dark spots from aging and sun exposure. Contains Apple Stem Cell Extract to help preserve healthy skin cells for skin that looks and behaves years younger. IMPRESSIONS : Now, I'll admit my neck isn't really my problem area--it's my arms that could use all the toning it could get. But I do have that bit of annoying double chin that drives me crazy so I decided to try this cream. I've been using this product off and on for about a month and I'll be the first to admit that adding another product to my skincare routine, just for one particular area was a challenge. I'm used to creams that I can slather on all over and call it a night! So, admittedly, I wasn't as diligent or regular as I should have been when testing the product--I forgot to apply it more often than not before I crashed. But I'll share my impressions of it based on the uses I did get. This is a a cream, true, but absorbs much like a gel, albeit a thicker gel than most serums. Lightly scented and fast-absorbing, it feels really good when you massage it into your neck--that couple of minutes spent massaging the product into the back of my neck after a long day was a welcome indulgence! However, my only quibble was that it did leave a bit of a sticky residue behind and for a girl who gets quite hot while sleeping, this was not something I was thrilled with. Bottom line, does it work? I do believe with regular use it would help tone and firm but again, you have to be regular with it! My skin felt tauter and firmer after each use, I just wish I could remember to be consistent with it!